8 Major Indian Festivals that Attract Foreign People – Best of India! India is a land of beautiful colors and festivals. In India these festivals have become a source of uttermost unity within the communities. In Indian culture there are a lot of festivals that are celebrated with great joy in the whole country and due to the large number communities India has a large number of festivals that are celebrated throughout the year. These festivals fill a great joy withing the country and becomes a major source of happiness. Due to the large tourism and migration, these festivals are also spreading throughout the entire world. Many Indian communities living abroad celebrate these festivals on regular basis. Due to this these festivals are slowing growing popular among the native citizens of foreign countries. Due to the joy and excitement that one gets during these festivals can grow largely popular all over the world. So we have come up with a list of MAJOR INDIAN FESTIVALS THAT ATTRACT FOREIGN PEOPLE. Diwali is certainly the most popular Indian festival. It is a festival of lights, colors, joy and last but not least of firecrackers too. It is celebrated due to popular belief in Hindu mythology that on this day Lord Rama returned to his home in Ayodhya, which is currently in Bihar after 14 years of exile. To welcome him people of Ayodhya lit oil lamps, that are called as ‘Diya’ in Hindi. Nowadays people celebrate Diwali by lighting firecrackers. Goddess Laxmi is also worshiped on this day and people decorate their house with lights. 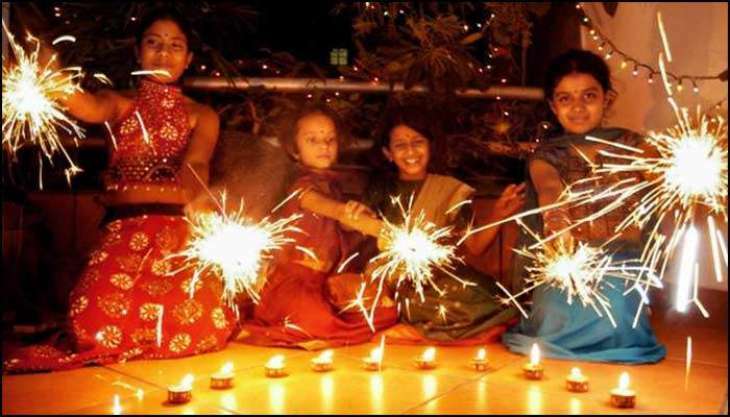 Diwali’s date varies from mid-October to mid-November. This year Diwali will be celebrated on Sunday, 27 of October. Diwali is surely the most lively night of the entire year and it becomes an attraction for tourists. Phalgun month which is a month in the Hindu calendar and corresponds to March. Holi is celebrated in India with great joy and massive crowds and can be seen playing with colors in open areas. These type of Holi events are largely popular among foreigners. 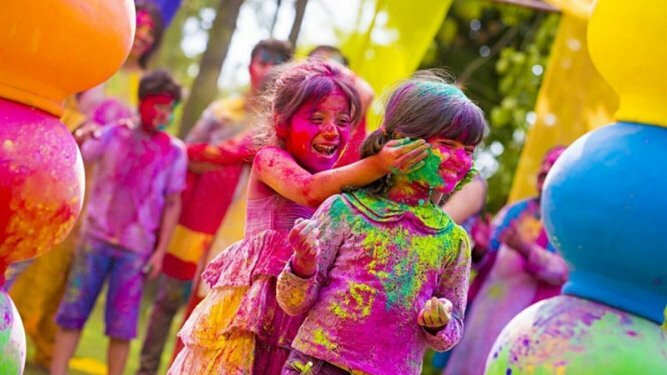 This year Holi will be celebrated on Thursday, 21 March and in the state of Himachal Pradesh, it will be celebrated on Wednesday, 20 March. Dussehra is also known as Vijayadashami and it is also one of the major Hindu festivals. It is also related to Lord Rama and is celebrated 20 days before Diwali. According to Hindu mythology on this very day, Lord Rama killed Ravana to free his wife Devi Sita. To celebrate his victory Dussehra is celebrated. On this day large statutes of Ravana, his brother Kumbhkarna and his son Meghnada are burned. These statutes are made of reed and bamboo and firecrackers are filled inside them and their burning puts a great view for tourists. But the most famous among them all is the Dussehra of Kullu in which no statues are burned but a fair is celebrated. Kullu Dussehra is an international level fair and each year 4 to 5 lakh people visit here. Kullu is located in the state of Himachal Pradesh and Tuesday, 8 October. Ganesh Chaturthi is another major Hindu festival. According to Hindu mythology, this festival is marked as the birthday of Lord Ganesha. This festival lasts for 11 days. On its first day, people bring statues of Lord Ganesha to their home or locality and on the lasts day these idols are immersed in water bodies, which known as Visarjan. In these 11 days, Lord Ganesha is worshiped with great enthusiasm. On the first and last days on Ganesh Chaturthi, a huge crowd gathers to celebrate the birth of Lord Ganesha. These rallies become a great attraction for foreign tourists because of the enthusiasm of people which are gathered there. This year Ganesh Chaturthi will be celebrated on 2nd September and will continue till next 11 days. 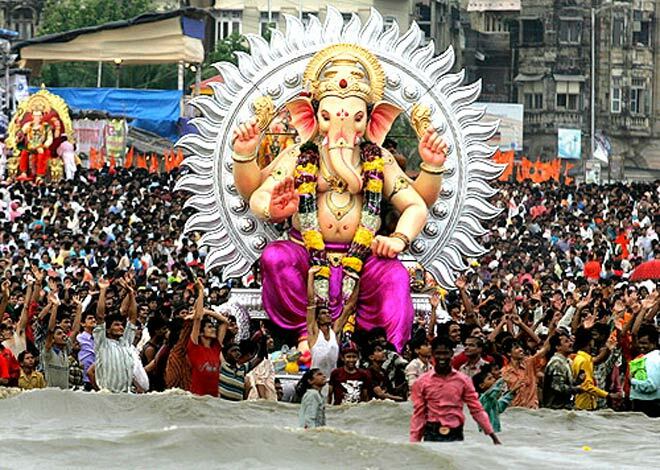 The largest crown gathering of Ganesh Chaturthi happens in the city of Mumbai. Navratri is another Hindu festival and it lasts for 9 days. Navratri is a festival where Hindu Goddess Amba is worshipped in her nine different forms. 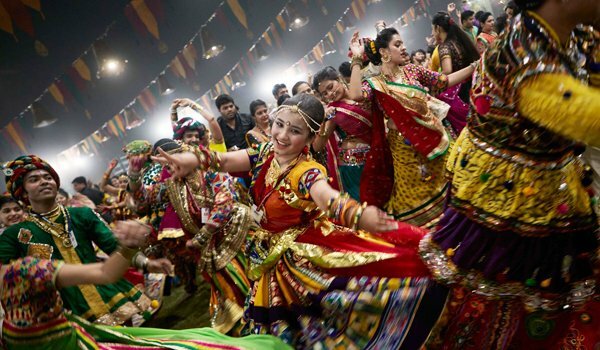 This nine-day festival is most popular in the state of Gujarat, where folk dance Garba is performed for the worship of Goddess Amba. In these 9 days, Goddess Amba is worshipped all over the country and people also keep fasts to show their devotion to the idols. In these days various colorful Puja functions are help all over the country, that sometimes become a great attraction for foreign people. Navaratri is celebrated in first nine days of Ashwin month of the Hindu calendar and this year it will be celebrated from Sunday, 29 September to Monday, 7 October. Maha Shivratri is celebrated in the devotion of one of the major Hindu gods, Lord Shiva. Maha Shivratri is celebrated all over North India and is based on Hindu mythological event, which is the marriage of Lord Shiva with Devi Parvati. On this day, Lord Shiva is worshipped all over north India. 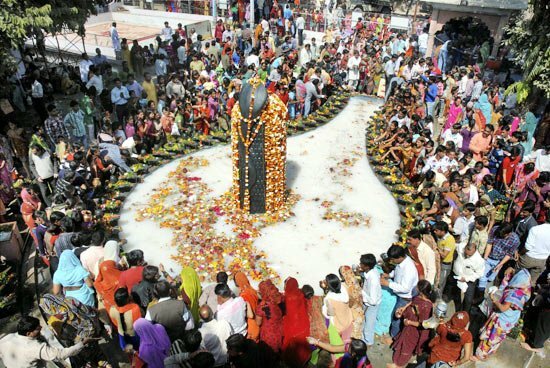 The main attraction of Maha Shivratri is the international Shivratri fair help in the town of Mandi, which is located in the state of Himachal Pradesh. This 7 days long international fair attracts a huge amount of tourists. This year Maha Shivratri will be celebrated on the 4th of March. Guru Nanak Jayanti is another major festival celebrated in India. 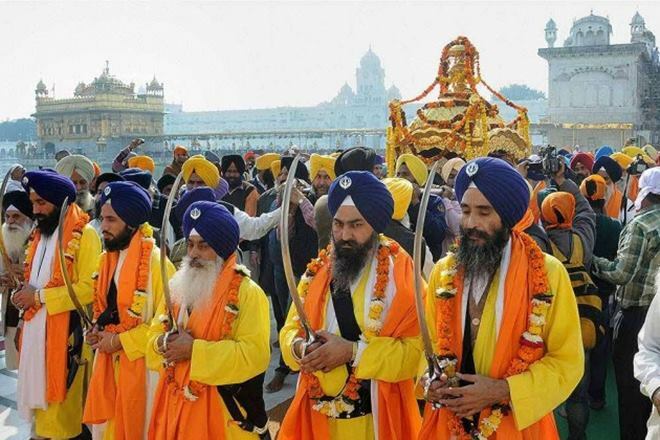 It is a Sikh festival and it celebrates the birth of Sikh Guru Nanak Dev Ji. 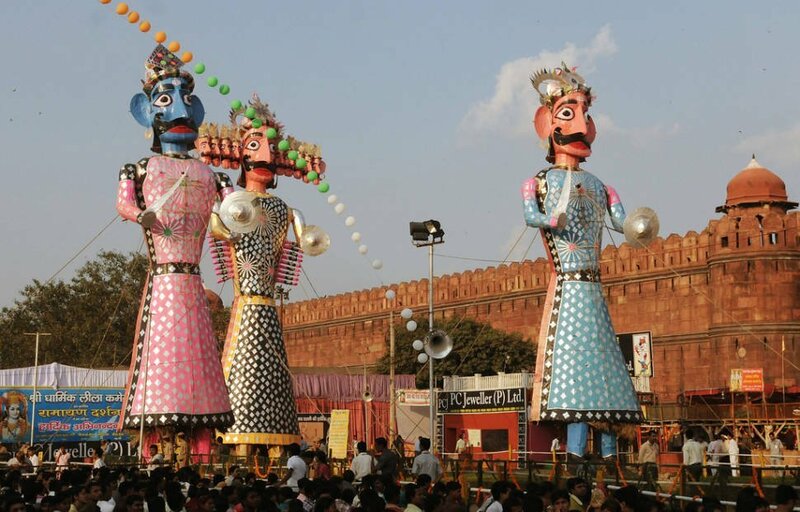 This festival is celebrated all over North India but the greatest celebration is held in the state of Punjab, where you can see celebrations in each and every town. On this day, community meals called langars are organized in Gurudwaras and celebration rallies roam the city. These rallies are consists of various cultural performances and even stunts too, which are worth watching. These kind of events are capable of attracting a great number of foreign tourists too. Guru Nanak Jayanti will be celebrated on Tuesday, 12 November 2019. Onam is a festival that is widely celebrated in the state of Kerala. It celebrates the return of the legendary king Mahabali. On this day various cultural functions are organized which attracts a huge number of tourists. These functions include the famous snake boat race in blackwaters, Kaikottikali dance, and the Elephant procession. 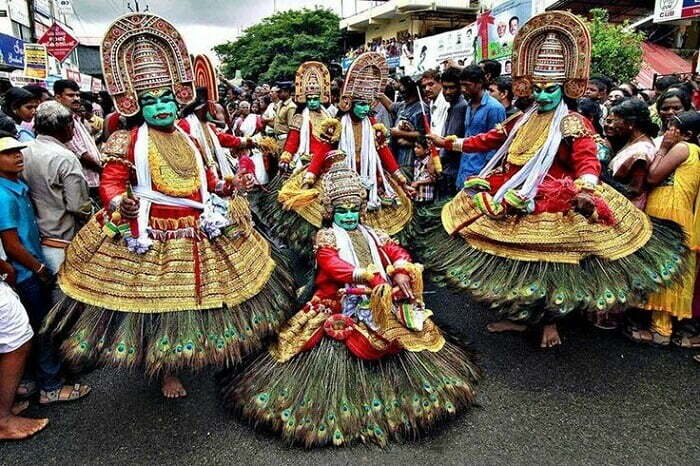 Alongside, these the popular dance form Kathakali can also be seen. This festival is basically 12 days long and this year it will be celebrated from Sunday, 1 September to Friday, 13 September, which corresponds to month of Chingam in Malyalam calendar. I think HOLI is the most attractive festival in India, I wish to join this celebration.